Welcome to the City of Kearney’s stormwater information page! Here you will find the latest stormwater management topics regarding our community. This page will be dedicated to providing educational information about water quality improving topics and news regarding the Kearney stormwater programs. There are six (6) Minimum Control Measures (MCMs) associated with the Kearney Stormwater Management Plan (SWMP). Each of these MCMs has a developed program that is put in place by the City of Kearney with the goal of minimizing stormwater pollution on many levels. For documents describing our communities Stormwater Management Plan click here. The Kearney Hub printed an article on February 11th, 2017 introducing a Stormwater Surcharge. This article, titled “EPA mandate leading to fees for Kearney” talks about an item on the Kearney City Council agenda for Tuesday, February 14th. The surcharge will be necessary to assist the municipality with funding more required activities for the Stormwater Management Plan with fewer funds. The EPA Mandate requires implementation of an extensive ‘Post-Construction Stormwater Management Program’ and the NDEQ is cutting available Stormwater Fund Grants. Reading this article is a good example of MCM #1- Public Education and voicing opinions/comments/items of concern at the City Council Meeting is an example of MCM #2 -Public Involvement and Participation. Post Construction Management is a key program in the Stormwater Management Plan. The purpose of Post-Construction Management is to improve the quality of stormwater runoff from a completed construction site prior to being discharged into accepting waters. Altering the current process, by requiring Stormwater Treatment Facilities (STF’s) is necessary to accomplish this. The goal of the STF’s is to detain water for a minimum length of time OR allow the discharge of stormwater at a maximum rate prior to entering accepting waters. The designs for these STF’s must be accounted for in the development process. For information on the process of the PCSMP please contact the Stormwater Manager for the City of Kearney at (308)233-3273, or send an email to stormwater@kearneygov.org. 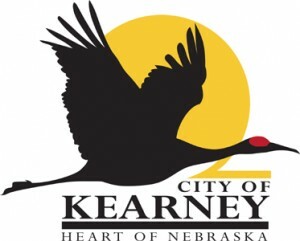 Please enter your email below to receive updates from Kearney Stormwater Department. Cleaning products and other household chemicals should never be dumped outside, down the sink or down a storm drain. Call the number below for a facility location that will dispose of them properly. If anyone observes someone dumping any material (Paint, Oil, grass clippings, or trash of any kind) into a sewer, please report it to the Stormwater Manager via the contact information listed below. Remember- ONLY WATER goes into the storm sewer. You can also report any form of stormwater pollution via Access Kearney.